Over the past year, we’ve teamed up with Buzzfeed’s Tasty team to create delicious meals and fan favorite recipes. 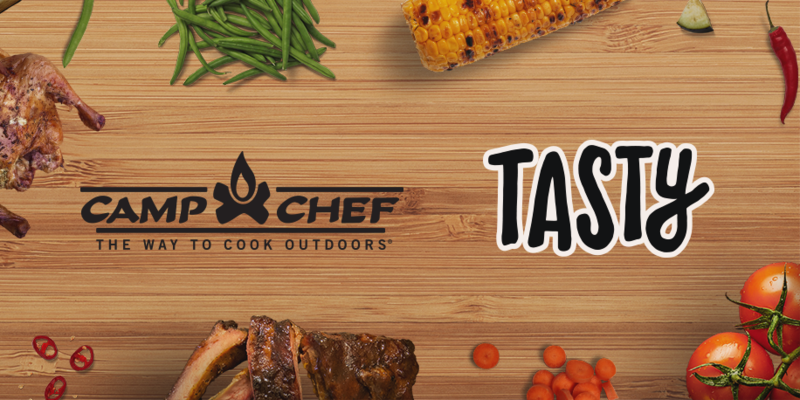 Tasty has led the online recipe category for years while Camp Chef has redefined The Way to Cook Outdoors. Their nationwide food-loving viewership was the perfect audience to introduce our top-of-the-line outdoor cooking products. Check out our exclusive Tasty, Camp Chef videos below.